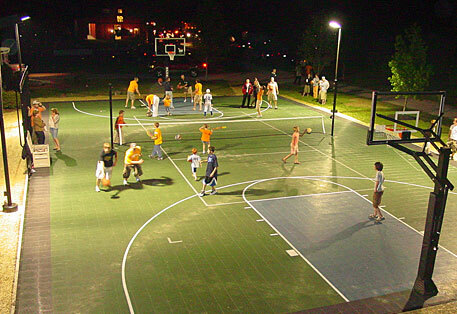 Our lighting solutions let your family play a set of tennis, or a game of roller hockey well after the sun goes down. Illuminate your court with light focused directly over the court surface or diffused over a wider playing area. Need some illumination for night-time play? 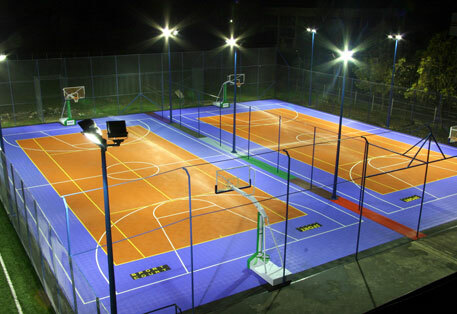 Sport Court offers a complete line of high-tech metal halide light systems, delivering superior coverage to every corner of your court. 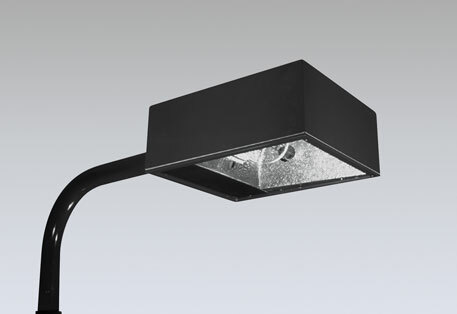 Our new 1000-watt single-fixture metal halide system provides enough lighting for a typical (1500 S.F.) backyard court, but our experts can also help you customize a lighting scheme for your court, whether that means multiple fixtures on a single pole, or identifying locations for additional poles. 400-watt systems also available, and all can be wired for voltage ranging from 110 – 277. Our Center Court Tennis lights feature a 1000 watt metal halide bulb and is available with single, double or triple fixtures. 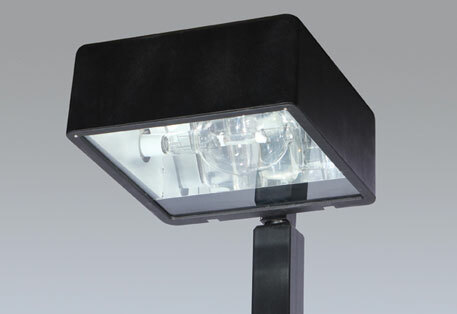 This high quality units are designed to be wired for 240v and above.